0-160 MPH gauge measurement range. Stewart Warner Deluxe Series gauges feature black faces with white lettering, polished stainless steel bezels and back lighting for night time visibility. 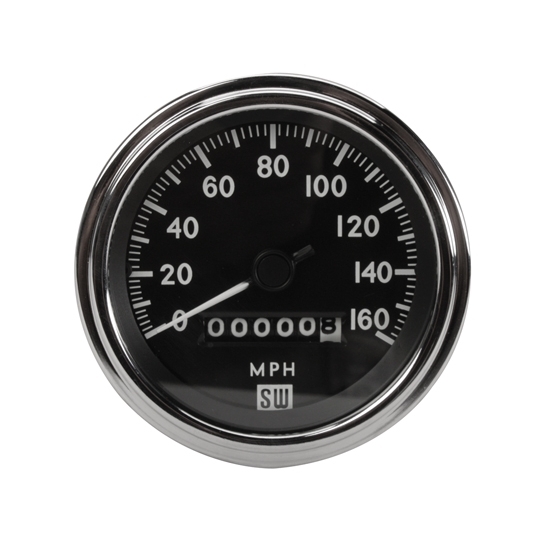 The 3-3/8" diameter mechanical speedo features an odometer and a conventional sweep to 160 MPH. Note: Requires drive cable (sold seperately).